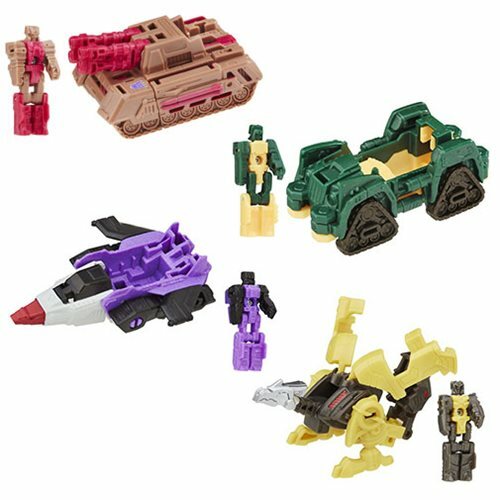 Speaking as someone who had 'grown out' of Transformers before the Headmasters came along...I do not understand the appeal of the concept. At all. Of course, I understand the nostalgia people have for it, but what I don't get is the need to now make EVERYONE a headmaster. Or Titan Master. Whatever. And by 'everyone', I mean characters who had never been Headmasters before (Hot Rod, Galvatron, Astrotrain, etc.) Sooooo...what's your take on this? Good idea? Bad idea? I know some of you guys don't care about robots in disguise, but let's go on this one. You can skip the next paragraph and then we'll bring it around to Star Wars. Why Headmasters? Hasbro has been experimenting a lot with things. For Thrilling 30 we got a really nifty greatest hits catch-all thing of Classics after previous lines were largely early Generation One items - and then Hasbro had a pretty big hit with making all of its Deluxe and Voyager toys combine for a year. Mix-and-match, buy two to have more fun, these are trends that come and go in Hasbro's brands. (See also: 2002, Attack of the Clones had a little bit of this. Transformers Armada was this exactly. G.I. Joe Sound Attack incorporated a bit of this.) For 2016, Hasbro decided to do one unifying gimmick across all price points. Introducing the Head gimmick in non-Headmasters is smart in that it might get people to try it, as many fans left after the cartoon ended and the Headmasters gimmick was introduced originally. Optimus Prime is easier to sell than someone who wasn't in every episode of most of the cartoons, and I gotta say Powermaster Optimus Prime 2016 makes it work. It's a nice one. It also shines a light on the whole issue of collector toy lines - do you do a slavish recreation of the original with minimal deviation (Masters of the Universe Classics) or do you expand it to a new thing in its own right? 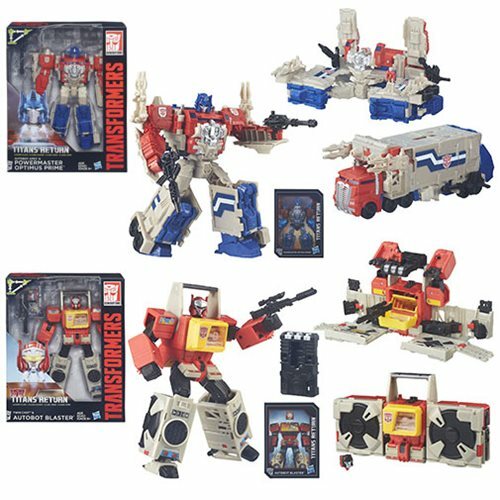 Transformers "Classic" offerings have to thrive in the middle - you can't rely on 1984-1985 forever, but you'll alienate fans if you completely ignore the cast of the cartoon. As such, this is what you get - it's not perfect, but it's interesting and so far seems to be doing well. Galvatron could have a better head. I assume he's just cursed to be weak. I think this is a good idea from where I sit, because it can give me something old that's also something new. I'm curious enough to buy, and I do like those I have in my hands so far. Going back to Star Wars, one of the big dangers of legacy lines like this? You get old. And I do mean you, and the other readers too. Typically the thing you were into as a kid, you will be interested in once more during or after college when that first job gets you some disposable income. It used to be you would collect the original stuff, now companies realize they can just revive it and get the money directly too. As you get older, the toys become more sophisticated and complex until/unless kids get involved like in Star Wars, thus watering the tree of fandom with a new installment. It really works - but it splinters the base. In the early 1990s Playmates rocked the house with Star Trek, focusing largely on the newer shows with a few classic movie and TV dudes thrown in. Star Wars from 1995-1999 was largely classic until we got the new movie, which helped a lot. Hype for that movie brought in new fans and lapsed fans... and opportunists. Because you are getting older, you may have had your fill - it happens. G.I. Joe fans have largely moved on over time, reducing the collector line and convention attendance each year. Kids don't buy it, moms don't buy it for their kids - it happens, and the lack of new blood means no secondary market of new fans to buy your old stuff, either. It even happened with Star Trek and will likely continue because of the paywalled nature of the new show. It happened with comic books, after the format shifted away from cheap newsprint selling in the millions to prestige publications topping out at around 10,000 physical copies most of the time. Your capacity to buy every action figure diminishes with time, as money and other interests realign priorities against the size of your home, office, and storage space. Star Wars was sort of running on fumes before the Disney sale - we lost some collectors and collector lines in the process, but the toy franchise has been preserved to fight another day. Even Vintage - while popular - wasn't hot enough in that incarnation (you can thank big box stores as well as Hasbro and also fans) to keep things going. No fan should be expected to collect forever, but some of us have been stomping through stores consistently for 21 years since the August 1995 relaunch of Star Wars - rarely do more than a few days go by without me going to a store, and many of you are in the same boat. And I work for a toy store. After a few thousand figures, people get satisfied, or their "needs" change. I'm sure a cool Cantina alien or the right trooper might get your attention, but it might be a while. 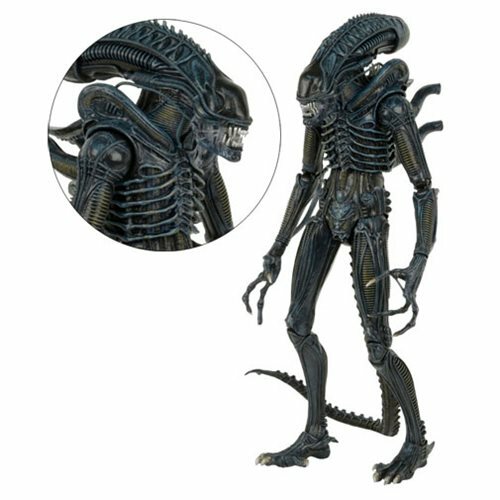 We rarely get more than one or two new classic aliens in a good year. It's certainly seeming like Maz' castle is an area where fans are going to be underfed and demand will rise until Hasbro increases legacy NuWars characters in assortments for subsequent movies - a move Disney/Marvel so far discouraged in the Marvel merchandise offerings. Ad: Buy Stuff at Entertainment Earth! Free U.S.A. 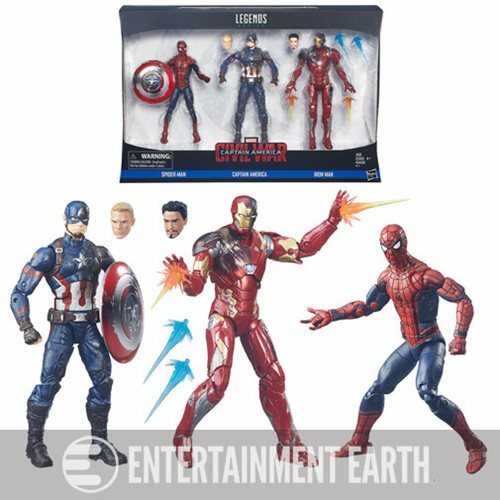 Shipping - Spend $79+ on in-stock toys! 2. Here we are at less than three months till Force Friday Part Deux and outside of Wal-Mart I really haven't seen any giant clearance sales before the storm yet like before each of the PT episodes dropped. Do you think they are waiting last minute or are they are just going to be warming pegs till Rogue One is in theaters? For that matter, Do you think this year's FF will be as much of a debacle as last year's? Yes, I know Hasbro made bank off it but like TFA's box office reciepts they don't take into account price inflation. I been to every SW midnight event since Episode I and the one for Episode VII was the firsr one where I couldn't find everything I was looking for on opening night far as figures go and I was the second or third person outside the store too. I know I'm not the only one with that same experience either. Is this the new normal far as this dying hobby goes? "Movie lines" got progressively shorter as the prequels went along, with The Phantom Menace running for about a solid year, Attack of the Clones getting a refresh after (I think it was) 9 months, and Revenge of the Sith basically straight up ending in about 8 months and changing over to "classic." The vast majority of The Force Awakens 3 3/4-inch stuff started shipping by the end of January, making this line pretty short and dragging its feet - waves weren't spaced apart all that much. The Giant Clearance doesn't always happen - sometimes items are carried over for the next line look, and, uh, yeah. We don't know what's coming back and what isn't, if anything. Sometimes that happens. With this movie, we're also seeing some big changes - for example, we must not forget Rogue One the toy line was originally developed under the assumption that Episode 8 would be out 8 months later. It's incredibly unlikely that Hasbro had enough time to change things, so expect this line to be even briefer unless Hasbro managed to cram in a surprise "classic" (as in, maybe The Force Awakens) tangent wave or two at the end. I don't think it's likely, though. I don't think there's any waiting for the last minute. Typically, the toy business (Target, Walmart) do clearances in the summer before the big August reset (meaning we're probably about due) or they just hang on to stuff forever. Given that there may be another major reset for Rogue One, Target and the like have no real incentive to clear it out until a week or two before the new stuff goes up. What else will go there? An empty aisle? Warm pegs are better than vacant ones, and a new movie line can also help make old stale product sell. You may say "But Adam, I know this is old stuff!" That's right, you do - but what about the other fair-weather collectors that only come out for the big launches? It's all new to them. Depending on who you ask, the Midnight Madness events are half-good or half-bad. I find the feeding frenzy to be in poor taste for all parties involved - the slow-drip of "let's put out new stuff when we get it" is so much nicer. I don't know why the myth of collectors walking away from those things like it was a utopia where every last item they could want was in stock for one glorious night keeps rattling around - this is simply not the case. I skipped the last one (because I had to launch it at work), and the thing is this hobby is not dying. You are. Kids are still interested, Hasbro's sales far exceeded what were lofty expectations, fair-weather fans - not the guys who read columns like this or posted on Usenet 20 years ago - they're still coming out to buy. They may not buy the entire line, but they have money and spend it. The hobby isn't dying and the line isn't suffering - it's actually bigger than it was in those last couple of (frankly floundering) pre-new-movie years. The comics are selling well, and the toys are still popular. I personally don't love the multiple drops of waves all at once - I'd rather see stuff spread out so fans don't have the ability to ignore the line and stores for several months between releases - but the bottom line says that it's all doing well. If a few collectors jump ship along the way, that's normal - look at G.I. Joe. What it means to be a fan changes, and our needs/wants as fans also change as we get older. Hasbro and Disney and Lucasfilm also have to not burn out everybody given the fact there are (at least) 5 more movies on deck that they've told us about. Now if you want to say that the interest in Rebels seems to be kind of weak and that they're doing a terrible job promoting that and getting product in front of people, you'll have my complete and total support. You can't have a weekly TV show line where the TV show toys are nearly impossible to find. 3. Hey Adam! I've been following your writing regularly for... over 18 years now i suppose. Since being 9 years old during the 1995 SE release I collected and opened roughly 70% of every notable, non-repack 3.75" figure until 2014, then I just plain gave up. Poor variety, Useless toy runs, and lower quality in the 3.75" line Shifted my focus to Black series 6" collecting for a while but I limited my buying to a few choice characters here and there. My 6" EP7 Han still has bendy knees that tip him over and a lazy eye, my 6" Rey has lizard lips (all of them do), and BB-8 looks like he rolled right through a cow patty. I just don't see the quality so, like you said, I pulled back and voted with my dollars. I thought I might see better quality versions down the road but nope. I considered kotobukiya but the human likenesses have that weird Japanese take on what they think Americans look like. Looking back I'm starting to wonder if Hasbro gave up on collectors? it seems like maaaaybe under Disney... leadership, Hasbro just isn't paying attention to: accessories, variety, the quality seems poor, likenesses seem lazy (poe just wow), new product or waves? maybe 2 or 3 a year. As a loyal Hasbro collector I feel starved. Did their focus just change? I anticipate you'll mention costs and manufacturing but really if I step back, I just feel like Hasbro abandoned the collector base to jump for kiddie dollars because they don't need us anymore. Adam, what can I have as an adult collector? Do you still get excited for new product? and if so what for? is there anything on the horizon you know of officially or unofficially that would indicate hopeful conditions for my kind of collecting in the future? Lets make Hasbro great again. As an adult collector, you can stop believing that the world is geared to you. In a less glib way, I guess it all depends on how you want to look at it. The throughput of new product to stores has changed with Hasbro's priorities and so have things like which times of year Hasbro cranks out new product. They have to sell to everybody now, and not just us. Star Wars belongs to the world again, and there aren't as many all-in collectors as there used to be. Let's look at numbers. For The Force Awakens line since its September debut, we got 21 regular 6-inch figures. We got over a dozen exclusive figures, too, and all in a pretty short window. Consider that, by comparison, from 2013-2015, we got fewer than 30 regular figures and a tiny handful of exclusives. 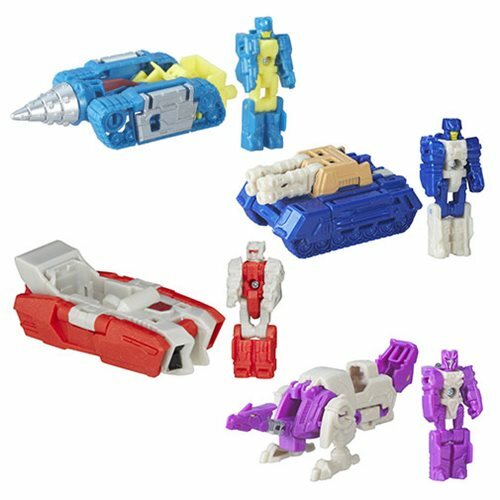 Hasbro's doing a lot more at a faster rate, but I can't argue that the perception has been tweaked by giving us all of them in big bursts rather than spreading them apart. We got six waves - SIX! Considering this is the new direction for collectors, that ain't nothing for being released over roughly nine months. The days of a new Vintage or Legacy wave every 2-3 months is, sadly, over and there were some obscenely long delays back then too. Now if your main drive is vehicles, Hasbro has been soft on vehicles for most movie years - the best years for vehicles seemed to be 2006, 2007, and 2008. Especially 2008. But if you want super-articulated 3 3/4-inch carded figures, well, that era is over or at least taking a nap because of the reasons I always mention - no doubt placating Walmart could be added to that list. I am not privy to those negotiations. As far as the whole "hurry up and wait" release schedule goes, yes, you can blame Disney and Lucasfilm coordinating with the new movie launch windows. That's the reality of having a new movie every year - it's not like the 2000s were we had Revenge of the Sith and then it was in virtually full-on collector mode for the indefinite future. The reason many of us are here - I daresay most of us - is that we, as children, loved Kenner toys. 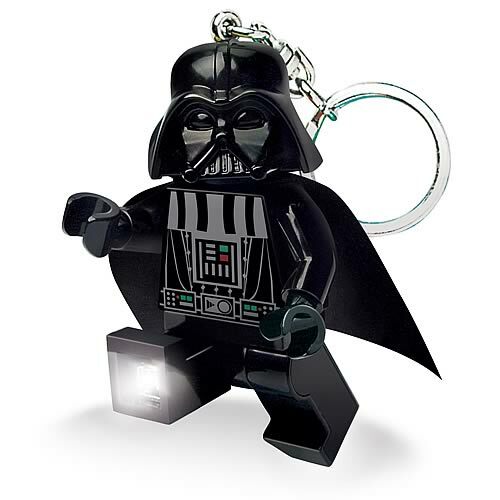 Maybe Galoob toys - but we're here because we're fans of toys and we're fans of Star Wars. Today's action figures are more sophisticated than most of what we grew up with, be it in the 1970s, 1980s, or 1990s. Deco isn't perfect, nor will it ever be - even on high-end stuff, sometimes the skin tone is wrong and mistakes are made. These are mass-produced items developed overseas and on the whole, they're cheap. Quality on figures - things like the kind of plastic used to make skin tones - seems to vary from wave to wave, and white people tend to turn out pretty awkwardly if the skin is just a smidgen too translucent or light. (See: new Luke 6-inch.) But, this has happened before with the little guys, and it changes from wave to wave, year to year. Nothing is perfect, but a lot of it is very good. Going to the above questions - I swear this wasn't a theme, these were just the first three I got - it still boils down to you. What are you willing to accept? How much stuff do you have - is the 500th figure as exciting? The 3,000th? Most of the 6-inch figures are really nice. A lot of the 3 3/4-inch figures are pretty good. There are frustrations galore (looking at you Walmart) but I don't think they gave up on collectors. The line is smaller, the targets are different, Hasbro's sales are through the roof, and there are still items for collectors. I see more items from more manufacturers than, possibly, ever before - you've got options. The idea of stuff solely for adults is actually somewhat recent - in 1999 we saw the advent of some Applause items marketed solely toward fans with deeper pockets. In 2002 Gentle Giant did their first mini-busts, and around that time Kotobukiya really got started. Hasbro never explicitly moved the line squarely to the collector crowd, there's always been a foot in "kid" and "fan/collector" camps. And there still is. I guess if we were to get political, your tagline kind of ties in to my point. How to make it great again? It's already pretty fantastic - a $20 super-articulated 6-inch figure with 3-piece lightsabers, bend-and-swivel wrists, rocker ankles, a blaster, and a holster ain't bad considering a Vintage figure was $10 a few years ago. Also, consider Mattel charges closer to $30 for a similar product. Now that there are more hands in the pot (Disney needs a cut of licensing revenues too), well, that's life. But we live in a world where we have so much more than we did 5, 10, and especially 20 years ago that I still see the glass as half full. I've got more toys, more options, more opportunity. I live in a world not where George Lucas says we'll get 3 more movies, but Disney says - apparently - there will be no end. As an adult collector, I can buy whatever I want. I can buy old stuff, new stuff, custom stuff, or even make my own stuff with a 3D printer. I've got options. Companies like Hasbro do have to tow the company line for the new stuff - TV, movies, anniversaries - but that's no different than before. We're seeing a rising tide which should, hopefully, bring in more people and more stuff. The best/worst thing for the hobby is an influx of new blood - people will be interested in your old stuff you want to sell. There will be new collectors, new ideas, and new products. It's an evolving fanbase, not one stuck in the 1990s forever. The cost of this has been a loss of some of the Hasbro collector stuff, but it didn't just start getting bad for 3 3/4-inch collectors recently - The Black Series' smaller 3 3/4-inch line has pretty much always been dull and lacking in freshness. Even Vintage had very few - but some - new-to-toy figures. Things change. Trends change. If and when Disney stops with the new stuff, or there's a big gap, I expect it to swing back to collector again briefly... but it's not like we were getting more than 1-2 all-new aliens per year for most of the last decade anyway. If what you want are high-end figures for the adult collector, Japan (or Sideshow) is your jam now. There is absolutely nothing preventing you from enjoying LEGO - arguably all-kids, but very popular with adults - or any of the many other items out there. If you keep stuff in boxes anyway, if you ask me, there's really no difference, but that's me. I'm all in favor of quitting when things stop going your way, because those still out there who dislike what is being produced but still buy everything are indeed part of their own problem. So! Comic-Con and Celebration Europe. Kylo Ren with a variant head and fancy box is going to Europe (only so far), and what I presume is the debut of old man Obi-Wan Kenobi with unique accessories. Hunh. I like both, but I'm getting to the point where even I am questioning the validity of being all-in on these things. It's not because I don't like them - given the opportunity, I'll buy them. 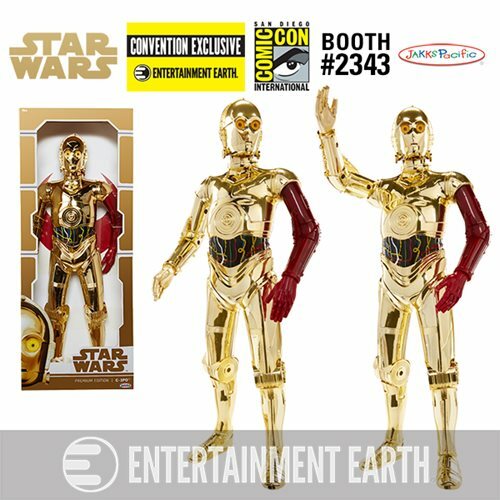 I'm going to San Diego and will be at the show, but Hasbro's limited quantities, sluggish lines, and fast sell-outs may cost them my business there. Depending on the nature of the secondary market (and you had better believe I can wait you out), I'm interested - but I don't love paying a premium for a couple of extra weapons or lights. Ever since the 6-inch line kicked off, excluding completist collectors has been baked-in with things like an exclusive Carbonite block or Salacious Crumb - unfortunate moves that leave holes in many collections to this day. The 2015 Stormtrooper with a booklet and fancy box, that's more of what I love to see. If you collect unique packaging, there it is. If you collect opened toys, well, you can skip it - you won't miss it. New parts and pieces are my thing, but I will say I'm more than a little surprised not to see Rogue One represented at the show. Such is life. I'd like to buy 'em, but is it even possible? As much a I'd love to say "with any luck we'll see new Rogue One movie toys in San Diego," I'm fairly confident we will not. Secrecy helps no one and as a long-term fan, it actually removes my interest. I like looking forward to things - seeing what's coming up gets me excited. I can share news, I can post toys for sale at work, and I can tell you all about them. Now, it's just "show up and buy it," which is less and less fun - but having 2-3 months to fawn over the toys, speculate, research, and understand what and why and who, this matters to me a great deal. Even with the prequels, it was a safe bet you know who the figures were as of wave 1 and had time to at least memorize the names and see the figures once or twice. Interestingly, under Disney's restrictions, everything seems to be doing quite well. Seriously well. (The numbers are good.) Hasbro also seems to be learning from what it used to do with Star Wars and apply that to its own properties - as you saw me ramble on above, Transformers has been doing quite well despite critically abhorred movies and frankly, I don't like them either. But the toys? Classic remakes? Most of the comics? Lovely. The announcements are spread out, they do a good job with fan outreach and early reveals, plus even better - they're doing a program of shared exclusive boxed sets this year. I just got G2 Bruticus in the mail on Saturday, and it looks like a box of crayons melted down and was forged into the most colorful team in my toy box. I love this stuff - it's fun, durable, and exciting. They're doing interesting things while also very obviously cutting costs by removing electronics and moving factories outside China to maintain a consistent price point. 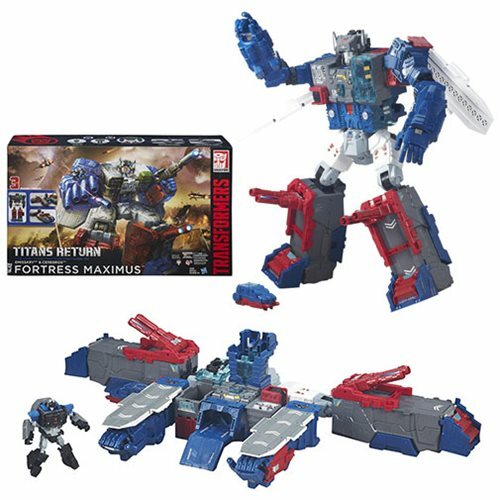 Also, I've got a Skullsmasher on my desk and by this time next month I'll have Fortress Maximus - the grail of the 1980s, revised, and released for older fans. It's pretty incredible. It's be more incredible to get a big Death Star to play with, but the lack of such things is what killed my interest in army building. There's no playset, I need no army - it just becomes hoarding, and that's not something I'm proud of. Send in your questions. For your reference, questions make an inquiry, labeling a rant "Q&A" will not result in publication here.